Is married to Rosmaly…the couple has a daughter, Abigail (born July 2015)...Is one of several Major Leaguers from Latin America who learned English partially by way of watching episodes of the critically-acclaimed sitcom series, Friends. Went 19-8 with a 3.39 ERA (191.1IP, 173H, 76R/72ER, 46BB, 220K, 19HR) and one complete game in 32 starts…held opponents to a .238 BA (173-for-726); LH .252 (81-for-321), RH .227 (92-for405)…ranked seventh among Major League pitchers and fourth among AL pitchers with 5.7 WAR (FanGraphs)...Was named via the Player Ballot to his second career All-Star team (also 2017)…was the first Yankees starting pitcher to be named to consecutive All-Star teams since CC Sabathia made it to three straight from 2010-12…tossed a scoreless second inning (1H, 2K) in the AL's 8-6, 10-inning win, allowing a double to Matt Kemp and striking out Bryce Harper and Brandon Crawford...Ranked third in the Majors (and AL) in wins, behind Tampa Bay's Blake Snell (21-5) and Cleveland's Corey Kluber (20-7)…were tied for second-most by a Yankee in the last 10 seasons (since 2009) behind CC Sabathia (21-7 in 2010)…in 13 seasons since 2006, tied for the second-highest win total by any pitcher in his age-24 season or younger, behind Clayton Kershaw (21-5 in 2011), and was the first AL pitcher that young to win at least 19 games since David Price (19-6) in 2010…were the second-most wins by a Yankees pitcher, age-24-or-younger, in the last 50 seasons (since 1969), behind Andy Pettitte (21-8 in 1996)...No Yankees pitcher had won 15 games in a season since 2012 (Phil Hughes-16, Hiroki Kuroda-16, CC Sabathia-15)…the club's five-year drought without a 15-game winner had been tied for the Majors' second-longest active drought, with Philadelphia also ending its five-year drought (Aaron Nola, 17-6 in 2018) and San Diego's extending its drought to 11 seasons (Jake Peavy, 19-6 in 2007)...Finished eighth in the AL with 220 strikeouts…was the sixth-highest single-season strikeout total in Yankees history…ranked fourth in the AL with a 4.78 K/BB ratio and seventh with a 10.35 K/9.0IP ratio…had five double-digit-strikeout games, tied for 10th-most by a Yankee in a single season, and tied for the most since CC Sabathia had six in 2012...Tied for sixth in the AL in starts and ranked ninth in the AL in ERA…was sixth among qualified AL pitchers with a 2.95 FIP (FanGraphs)...His 32 starts tied for the most by a Yankee in the last six seasons (since 2013)...The Yankees went 24-8 in his 32 starts, tied for the most team wins started by one pitcher in 2018…were the second-most Yankees wins started by one pitcher in a season in the last 20 years (since 1999) behind Roger Clemens (27) in 2001…the Yankees won 10 straight Severino starts from 4/16-6/4, the longest winning streak in one Yankees pitcher's starts since Iván Nova started 12 consecutive wins from 6/10-9/2/11…the Yankees were 18-2 in his first 20 starts; according to STATS, Inc., was only the second time in the Live Ball Era that the Yankees won at least 18 of a pitcher's first 20 starts of a season (were 18-2 in Ron Guidry's first 20 starts in 1978)...Led Major League starters with an average fastball velocity of 97.6 mph (FanGraphs)…per Statcast, threw 50 pitches in the sixth inning or later that registered at 99.0 mph-or-faster, the most by a starter in the Majors (Chris Sale was second with 16)…threw first-pitch strikes to 68.9 percent of batters, the highest mark in the AL and third-highest in the Majors…opponents hit .191 (56-for-293) with 11BB, 119K and 6HR in ABs ending in a slider (Brooks Baseball)...Became the fifth pitcher in Yankees history to record at least 10K with 0BB three times in a single season, joining Mike Mussina (4 in 2001), David Cone (3 in 1998), Masahiro Tanaka (3 in 2017) and David Wells (3 in 1998)...Led the Majors in wins before the All-Star break, going 14-2 with a 2.31 ERA (128.1IP, 33ER) in 20 starts…was the fourth pitcher in franchise history to record at least 14 wins prior to the All-Star break, joining Mel Stottlemyre (14-7 in 24GS in 1969), Whitey Ford (16-2 in 21GS in 1961) and Lefty Gomez (14-2 in 19G/17GS in 1934)…was only the fourth Major League pitcher in the last 16 seasons (since 2003) to record at least 14 wins prior to the All-Star break, joining Los Angeles-NL's Clayton Kershaw (14-2 in 19GS in 2017), Chicago-AL's Chris Sale (14-3 in 18GS in 2016) and Colorado's Ubaldo Jimenez (15-1 in 18GS in 2010)…went just 5-6 with a 5.57 ERA (63.0IP, 39ER) in 12 starts after the break...Went 10-2 with a 2.74 ERA (92.0IP, 28ER) in 15 starts at Yankee Stadium…was one of seven pitchers with at least 10 home wins in 2018…became the fourth pitcher to earn at least 10 wins in a season at the current Yankee Stadium, joining CC Sabathia (11-2 in 2010, 10-5 in 2013), Phil Hughes (11-4 in 2010, 11-4 in 2012) and Hiroki Kuroda (11-6 in 2012)...From 9/3/17-7/1/18, went 11-0 with a 1.83 ERA (88.2IP, 18ER) over 14 home starts, all Yankees wins…the 11 wins were the most consecutive winning decisions at home by a Yankee since CC Sabathia was 16-0 from 7/18/09-9/2/10…marked the Yankees' longest winning streak in one pitcher's starts at the current Yankee Stadium and the longest since winning 16 consecutive David Cone home starts from 8/17/97-8/27/98. 4 From 9/27/17-6/16/18, completed 6.0IP with 2R-or-fewer in nine consecutive home starts, surpassing David Cone (eight straight, 5/29-8/12/98) for the longest such streak by a Yankees starter since 1908...Went 9-6 with a 3.99 ERA (99.1IP, 44ER) in 17 road starts…tied for fourth in the AL in road wins...From 4/7/17- 6/26/18, recorded at least 6K in 23 consecutive road starts, the fourth-longest streak in Major League history (Randy Johnson -33 G S from 8/22/98-8/14/00; Pedro Martinez-28 GS from 8/24/99-6/21/01; Randy Johnson-25 GS from 8/30/00-5/11/02)…was nearly triple the length of the next-longest streak in Yankees history (eight, by Roger Clemens and Melido Perez)...From 7/15/17-3/29/18, compiled a streak of seven consecutive road starts with 1R-or fewer…was tied for the AL's second-longest such streak since 1908, behind Minnesota's Johan Santana (eight starts from 7/17-9/29/04)…tied Al Downing (5/14- 9/14/68) for the longest streak by a Yankee in that span…was 5-0 with a 0.78 ERA (46.1IP, 4ER) during the streak...Made his first career Opening Day start on 3/29 at Toronto, allowing just 1H over 5.2 scoreless innings (3BB, 7K) to earn the win…was the first Yankees starter to earn a win on Opening Day since Chien-Ming Wang on 4/1/08 vs. Toronto…was the first scoreless Opening Day start by a Yankee since Roger Clemens (6.0IP, 3H) on 3/31/03 at Toronto…the 1H marked the fewest by a Yankees Opening Day starter since at least 1908…at 24 years, 37 days, was the youngest Yankees Opening Day starter since Lefty Gomez (23 years, 138 days) on 4/12/32 at Philadelphia-AL…only three pitchers younger than Severino have started for the Yankees on Opening Day: Gomez, Ray Caldwell (23 years, 351 days on 4/11/1912 vs. Boston) and Hippo Vaughn twice (23 years, 3 days on 4/12/1911 at Philadelphia-AL; 22 years, 5 days on 4/14/1910 vs. Boston)…was the fifth-youngest pitcher since 1908 to allow 1H-or-fewer in a scoreless Opening Day start…was the youngest since 21-year-old Bob Feller threw a no-hitter for Cleveland on 4/16/40 at Chicago-AL…was the first Dominican-born pitcher and fourth foreign-born pitcher to start for the Yankees on Opening Day, joining Masahiro Tanaka (Japan) in 2015-17, Chien-Ming Wang (Taiwan) in 2008 and Orlando Hernandez (Cuba) in 2000...In his fourth start on 4/16 vs. Miami, allowed 1H over 6.0 scoreless innings (1BB, 8K) to earn the win…was the first Yankee since 1908 to allow 1H-or-fewer and 0R in multiple starts over the team's first 30 games of a season…was the fifth Major League pitcher since 1908 to have two such games within his team's first 15 games of a season (also Ubaldo Jimenez-2015; Sam McDowell-1966; Bob Feller-1947; and Jim Tobin-1944)...From 4/16-6/4, went 7-0 with a 1.85 ERA (68.0IP, 14ER) over 10 starts, the longest winning streak and longest streak of unbeaten starts of his career…turned in a quality start in each outing, the longest QS streak by a Yankee since Masahiro Tanaka had 14QS in his first 14 Major League starts from 4/4-6/28/14...In 5/2 win at Houston, tossed his first career complete game and shutout (5H, 1BB, 10K)…marked the most strikeouts in a shutout by a Yankees pitcher since Mike Mussina on 9/24/02 vs. Tampa Bay (12K, 2H)…at 24 years, 71 days old, was the second-youngest Yankee in the last 47 seasons (since 1972) to toss a shutout, behind Sterling Hitchcock (24 years, 22 days) on 5/21/95 vs. Baltimore (4H)…was the youngest Yankee with at least 10K in a CGSHO since Stan Bahnsen (23 years, 230 days) on 8/1/68 at Boston (12K, 3H)…was the second Yankee since 2004 to throw a shutout against the defending World Series champion (also Iván Nova, 6H on 9/21/13 vs. San Francisco)...In six May starts, went 4-0 with a 2.03 ERA (40.0IP, 9ER) and 50K…was the fifth 50-strikeout calendar month by a Yankee in the last 50 seasons since 1969 (Ron Guidry, 64K in June 1978; David Cone, 56K in June 1997; CC Sabathia, 50K in July 2011; Randy Johnson, 50K in July 2005)…was the first Yankee with at least 50K and zero losses in a calendar month since David Cone in June 1997 (2-0, 56K)...Won a career-best five consecutive starts from 6/16-7/7…was tied for the longest such streak by a Yankee since Iván Nova's eight-start winning streak from 7/1-9/2/11...Allowed 3R-or-fewer in 16 consecutive starts from 4/16- 7/7, the second-longest streak by a Yankees starter in franchise history, behind Russ Ford's 20-start streak over two seasons from 1910-11...In 7/23 loss at Tampa Bay, recorded his 500th career strikeout in the second inning (Willy Adames), just the third Yankees pitcher to reach the mark prior to his 25th birthday, also Al Downing (644K) and Lefty Gomez (511K)...In 9/5 loss at Oakland, reached 500.0 career innings pitched, becoming the 11th Yankee to reach the milestone prior to his 25th birthday, and the first to do it since Dave Righetti from 1979-83...In 9/19 win vs. Boston, induced seven pop-ups, tied for the most by a Yankees pitcher in a single game in the last 11 seasons (since 2008), with Bartolo Colon (8/11/11 vs. Los Angeles-AL)...Made three spring training starts, going 1-0 with a 3.38 ERA (13.1IP, 5ER). In his ﬁrst full Major League season, went 14-6 with a 2.98 ERA (193.1IP, 150H, 73R/64ER, 51BB, 230K, 21HR) in 31 starts…held opponents to a .208 BA (150-for-720); LH .221 (72-for-326), RH .198 (78-for-394)…pitched the entire season at 23 years old, and was the seventh-youngest AL pitcher to start a game…made his second career and consecutive Opening Day roster (both in starting rotation)... Finished third in AL Cy Young Award voting, appearing on 27-of-30 ballots and receiving 73 points (3 third place votes, 6 fourth place votes, 1 ﬁfth place vote)…was the highest ﬁnish by a Yankees pitcher since CC Sabathia also got third in 2010... Ranked third in the AL in ERA, fourth in strikeouts, ninth in innings pitched and tied for ninth in wins…his 5.7 WAR (FanGraphs) was third among AL pitchers and fourth in the Majors…was the highest WAR by a Yankees pitcher since CC Sabathia's 6.4 WAR in 2011…was also third among qualiﬁed AL pitchers with a 3.07 FIP…ﬁnished second in the AL in opponents' SLG (.338) and OPS (.603), third in opp. BA (.208) and OBP (.266), and third in WHIP (1.04)…his 10.71 K/9.0IP ratio was fourth-best in the AL and his 4.51 K/BB ratio was ﬁfth... Had the lowest ERA by a qualiﬁed Yankee since David Cone (2.82) and Andy Pettitte (2.88) in 1997... Recorded the highest K/9.0IP ratio by a qualifying pitcher in Yankees history (10.71)…had the lowest opp. BA by a qualiﬁed Yankee since Ron Guidry (.193) in 1978, the lowest opp. OBP since David Wells (.265) in 1998, the lowest opp. SLG since David Cone (.332) and Andy Pettitte (.335) in 1997, and the lowest opp. OPS since Ron Guidry (.585) in 1981…marked the best WHIP by a qualiﬁed Yankee since Ron Guidry (0.99) in 1981... Led the Yankees in strikeouts, innings pitched and starts, and tied for the team lead in wins... Was named to his ﬁrst career AL All-Star Team via the Player Ballot, but did not pitch in the game... was the ﬁrst Yankees starting pitcher to be selected to the AL All-Star team since Masahiro Tanaka in 2014... at age 23, was the youngest Yankees All-Star pitcher since Mel Stottlemyre (also 23) in 1965... Ranked sixth in the Majors (fourth in the AL) with 230K…was the fourth Yankees pitcher to record 230K in a season, joining Ron Guidry (248 in 1978), Jack Chesbro (239 in 1904) and CC Sabathia (230 in 2011)…were the most by a Yankee, age-23 or younger, surpassing Al Downing's 217 mark in 1964…were the second-most strikeouts by an AL pitcher, age-23 or younger, in the last 31 years (since 1987), behind Tampa Bay's Scott Kazmir (239) in 2007... Was the second AL pitcher in 41 years (since 1977) to post a sub-3.00 ERA with at least 225K at age-23 or younger, joining Boston's Roger Clemens (2.48, 238K, age-23) in his AL MVP and Cy Young-winning 1986 season... Recorded his ﬁrst ﬁve career double-digit-strikeout games: 4/13 vs. Tampa Bay (11K), 4/18 vs. Chicago-AL (10K), 6/27 at Chicago-AL (12K), 7/8 vs. Milwaukee (10K), 9/9 at Texas (10K)... was tied for 10th-most in a season by a Yankees pitcher and second-most at age-23-or-younger (Al Downing, eight at age-22 in 1963)... were tied for fourth-most among AL pitchers in 2017... Ranked among AL leaders in games with at least 9K (12, third), at least 8K (16, fourth) and at least 7K (21, third)…the 21 games with at least 7K were a Yankees record... Recorded his 100th strikeout of the season on 6/27 at Chicago-AL (Tim Anderson in the second) and his 200th on 9/3 vs. Boston (Sandy Leon in the ﬁfth)…was the youngest AL pitcher to reach 200K by his team's 136th game since California's Frank Tanana did it in the 133rd game in 1976... Was the second Yankee, age-23 or younger, since 1972 to make 30 starts in a season (Joba Chamberlain-32G/31GS in 2009)... His 16 starts with 1R-or-fewer led the Majors... were tied for the third-most such starts by a Yankee in a single season since 1913 (Ron Guidry-18 in 1978, Whitey Ford-18 in 1964, Mike Mussina-16 in 2001, Spud Chandler-16 in 1943)... Allowed 1ER-or-fewer in 17 starts, tied for the Major League lead (with Max Scherzer)... were the most by a Yankee since Ron Guidry (21 in 1978)... Completed 7.0IP in 14-of-31 starts, fourth-most in the AL and tied for sixth in the Majors…prior to 2017, had completed 7.0IP just once in his career…tossed a career-high 8.0IP three times (9/15 vs. Baltimore, 5/24 vs. Kansas City, 4/18 vs. Chicago-AL)... tied for ﬁfth in the AL with eight starts of at least 7.0IP and 1R-or-fewer... Was 6-1 with a 2.24 ERA (96.1IP, 24ER) in 15 road starts, the lowest road ERA in the AL and the ﬁfth-lowest in the Majors…permitted 1R-or-fewer in 11 road turns, the highest total by a Yankee since 1913 and one of 15 Major League pitchers with at least 11 such starts in a season in that span…allowed 1R-or-fewer in all six road starts after the All-Star break, going 4-0 with a 0.89 ERA (40.2IP, 4ER) in that span; was the second-longest single-season streak of road starts with 1R-or-fewer by a Yankee since 1913 (Al Downing, seven straight from 5/14-9/14/68)…from 7/20-8/23, became the third Yankees pitcher in 100 years to win four consecutive road starts (within the same season) while allowing 1R-or-fewer in each, joining Whitey Ford (four straight from 4/22-6/3/64) and Spud Chandler (four straight from 7/7-8/13/43)... Held right-handed batters to a .198 BA, fourth-lowest in the AL…was the ninth-lowest mark by a Yankee since 1974…over his ﬁnal six starts, limited RHB to a .079 (5-for-63) BA... Led Major League starters with an average fastball velocity of 97.6 (FanGraphs), ﬁnishing ahead of Pittsburgh's Gerrit Cole (96.0)…opposing batters hit .182 (57-for-314) with 6HR, 122K and 12BB in plate appearances ending with a slider, and .156 (15-for-96) with 21K against his changeup (Brooks Baseball)... over his last eight starts, opponents hit .104 (8-for-77) vs. the slider and .107 (3-for-28) vs. the changeup... Defeated six-time AL All-Star Chris Sale (two starts, one win), former AL Cy Young winners Rick Porcello and Felix Hernandez, and 2016 AL Rookie of the Year Michael Fulmer... also started opposite two-time AL Cy Young winner Corey Kluber and four-time All-Star Jon Lester... Allowed 1ER-or-fewer in 10-of-14 starts after the All-Star Break, going 9-2 with a 2.28 ERA (86.2IP, 22ER)... was the Majors' fourth-lowest post-All-Star ERA and tied for the fourth-highest win total... opponents hit .181/.242/.300 (58-for-320) over the stretch... Recorded at least 8K in ﬁve consecutive starts from 8/17-9/9, tied for the fourth-longest streak in Yankees history... On 4/13 vs. Tampa Bay (7.0IP, 5H, 2ER, 1BB, 11K, 1HR) and 4/18 vs. Chicago-AL (8.0IP, 3H, 4R/3ER, 0BB, 10K, 2HR), became the third pitcher in Yankees history to record at least 10K and one-or-zero walks in consecutive games, joining Masahiro Tanaka (4/9/14 and 4/16/14) and David Wells (9/1/98 and 9/7/98)…on 4/18 vs. Chicago-AL, became the youngest pitcher in Yankees history to record at least 10K and 0BB in a game (23 years, 57 days)-credit: Elias... In 5/24 win vs. Kansas City, tossed 8.0 scoreless innings…at 23 years and 93 days, was the second-youngest Yankees pitcher since 1982 to toss at least 8.0 shutout innings (Phil Hughes, 22 years, 335 days, 8.0IP on 5/25/09 at Texas)... On 6/27 at Chicago-AL, recorded a career-high 12 strikeouts and did not walk a batter over 7.0IP... at 23 years, 127 days old, became the second-youngest Yankees pitcher to fan 12-or-more batters in a game, behind only Al Downing, who did it six times at age-22 in 1963-64... was the youngest pitcher in club history with at least 12K and 0BB, breaking the mark previously held by Stan Bahnsen (23y, 230d) on 8/1/68 at Boston (12K in 9.0IP CG SHO)…was the youngest AL pitcher with at least 12K and 0BB since Chicago-AL's Jason Bere (22y, 105d) had 13K on 9/8/93 vs. Boston... From 7/20-8/6, won four consecutive starts for the ﬁrst time in his career, allowing one-or-no earned runs in each…was one of three AL pitchers in 2017 to win four straight starts while allowing 1ER-or-fewer in each…was the longest streak by a Yankee since CC Sabathia's ﬁve-start streak from 6/25-7/16/11... On 8/17 at the Mets, recorded his ﬁrst Major League hit with a bunt single oﬀ Steven Matz and scored his ﬁrst run in the fourth inning... Made his ﬁrst four career postseason starts, going 1-1 with a 5.63 ERA (16.0IP, 10ER)... made his postseason debut in the AL Wild Card Game vs. Minnesota (ND, 0.1IP, 3ER), matching the shortest start by a Yankees pitcher in postseason history (also Art Ditmar in 1960 WS Game 1 at Pittsburgh and Bob Turley in 1958 WS Game 2 at Milwaukee)... at 23 years, 225 days old, was the youngest Yankee to start a postseason game since Andy Pettitte (23 years, 111 days) in 1995 ALDS Game 2 vs. Seattle…struck out nine and earned his ﬁrst postseason win in ALDS Game 4 vs. Cleveland (7.0IP, 3ER), becoming the second-youngest Yankee (23 years, 231 days) to record 9K in a postseason game, behind Dave Righetti (22 years, 314 days in 1981 ALDS Game 2 at Milwaukee-10K)... made two road starts in the ALCS vs. Houston (both Yankees losses), taking a no-decision in Game 2 (4.0IP, 1ER) and a loss in Game 6 (4.2IP, 3ER)... Went 3-0 with a 3.38 ERA (18.2IP, 7ER) in six spring training games (four starts) with the Yankees. Went 3-8 with a 5.83 ERA (71.0IP, 78H, 48R/46ER, 25BB/1IBB, 66K, 11HR, 3HP, 3WP) in 22 games (11 starts) with the Yankees over four stints with the Yankees (4/4-5/30, 7/25-8/10, 8/12-14 and 9/2-10/2)…opponents hit .275 (78-for-284); LH .263 (36-for-137), RH .286 (42-for-147)…had 0.6 WAR (FanGraphs). Went 0-8 with an 8.50 ERA (47.2IP, 70H, 46R/45ER, 15BB, 41K, 11HR) in 11 starts…was the second pitcher in Yankees history to make at least 11 starts in a season without earning a win as a starter (Fred Talbot, 0-8 in 11 starts in 1968)…the Yankees were 2-9 in his 11 starts, losing each of his first nine. Was 3-0 with a 0.39 ERA (23.1IP, 8H, 2R/1ER, 10BB, 25K) in 11 Major League relief appearances…stranded all five of his inherited runners…retired 10-of-11 first batters faced (90.9%)…led Major League relievers (min. 20.0 relief innings) in ERA, the second-lowest ERA by a reliever in Yankees history (min. 20.0 relief innings) to Joba Chamberlain's 0.38 ERA (24.0IP, 1ER) in 2007…also led Major League relievers in opponents' BA (.105, 8-for-76), slugging percentage (.158) and OPS (.367)…pitched at least 2.0IP with no earned runs in 8-of-11 relief appearances, tied for the eighth-most such outings in the AL. Began the season in the starting rotation, making seven starts before being placed on the 15-day disabled list on 5/14 with a right triceps strain…was returned from rehab, reinstated from the 15-day D.L. and optioned to Scranton/WB on 5/30…made one rehab start for Single-A Tampa on 5/29 (3.0IP, 2H, 0R, 2K)…was recalled to join the bullpen on 7/25, pitching three times in relief before he returned to the rotation for two starts on 8/9 and 8/14 (between the starts, was optioned to Scranton/WB on 8/10 and recalled on 8/12)…made his next eight Major League appearances out of the bullpen, then started his final two appearances on 9/26 and 10/1. Was the first Yankees pitcher to lose eight consecutive decisions as a starter since Orlando Hernández (eight straight from 9/21/00-8/21/01)…only three Yankees since 1913 have had longer streaks: Fred Talbot (12 straight from 7/22/67-6/11/68), George Mogridge (11 straight from 7/26-9/22/1916) and Ray Keating (nine straight from 5/8-7/28/1914). Lost six consecutive starts from 4/26-8/14, the longest single-season losing streak by a Yankees pitcher since Tim Leary took losses in six consecutive starts from 5/28-6/23/90…took a no-decision in his 9/26 start at Toronto, snapping the streak. Received just nine runs of support in his 11 starts (1.70 RSA)…overall, opposing batters hit .220 (18-for-82) with two outs, and .297 (60-for-202) with less than two outs. Opponents hit .114 (5-for-44) with 14K in at-bats ending with his fastball in his relief appearances and .374 (43-for-115) with 22K in his starts (Brooks Baseball)…hit .069 (2-for-29) with 11K against his slider in relief and .284 (23-for-81) with 20K in his starts. At 22 years, 48 days old in his season debut on 4/8 at Detroit, was the second-youngest AL pitcher to start a game in 2016, older than only Minnesota's José Berrios (21 years, 336 days). In 5/8 loss vs. Boston, tied a career high with 9K but also allowed a career-high 3HR. Made his first career Major League relief appearance in 7/27 loss at Houston, tossing 2.0 hitless innings (1BB, 3K). Earned his first win of the season on 8/3 vs. the Mets, allowing 1H and 1R/0ER in 4.1IP (1BB, 5K) to earn his first win of the season…matched Nathan Eovaldi (4.1IP on 7/10 at Cleveland) for the longest relief appearance by a Yankee in 2016. Allowed his first earned run in relief in 9/17 loss at Boston (1.1IP, 2H, 1ER, 3BB, 1K)…entered the game with the most innings pitched as a reliever in the Majors without allowing an earned run (18.2IP). Was ejected by HP umpire Todd Tichenor on 9/26 at Toronto for throwing at Justin Smoak in the second inning…was his first career ejection. In 13 games (12 starts) with the RailRiders this season, went 8-1 with a 3.49 ERA (77.1IP, 30ER) and 78K with just 18BB…allowed 3R-or-fewer in nine of his 12 starts…had 32K in 19.2IP over his final four games (3GS)…his final appearance with the RailRiders came on 8/30 at Buffalo, tossing 2.1IP of scoreless relief (2H, 5K). Went 2-1 with a 3.38 ERA (21.1IP, 18H, 9R/8ER, 4BB, 25K, 1HR) in six Major League spring training games (four starts)…also threw 6.0 shutout innings with 12K in a minor league start on 3/27 vs. Single-A Charleston…led the Grapefruit League in strikeouts and finished tied for sixth among all Major League pitchers…compiled a 14.2-inning scoreless streak from 3/7-22. In his first Major League season, went 5-3 with a 2.89 ERA (62.1IP, 53H, 21R/20ER, 22BB, 56K) in 11 starts...recorded a 0.7 WAR (FanGraphs), a 4.37 FIP and 3.72 xFIP...held opponents to a .229 (53-for-231, 9HR) batting average; LH .244 (30-for-123, 3HR), RH .213 (23-for-108, 6HR)...the team was 6-5 in his 11 starts...Was just the fourth pitcher in Yankees history to record at least five wins and post an ERA of 3.00-or-lower in his age-21 season or younger, joining Whitey Ford (1950), Hank Thormahlen (1918) and Ray Keating (1914)...since 2009, only four other Major League pitchers have accomplished that feat: Jose Fernandez (2013), Madison Bumgarner (2010), Stephen Strasburg (2010) and Clayton Kershaw (2009)...was the first AL starting pitcher to do so since the Royals' Bret Saberhagen (20-6, 2.87) won the AL Cy Young Award as a 21-year-old in 1985...His 2.89 ERA was seventh-lowest in the AL from 8/1 through the end of the season (min. 60.0IP)...had the lowest rookie ERA in the Majors in 2015 (min. 60.0IP) and lowest among rookie starting pitchers...Went 3-2 with a 2.04 ERA (35.1IP, 8ER) and 34K in his first six career starts...was the first Yankees pitcher since 1914 to record at least 30K and an ERA as low as 2.04 in his first six career games...his 2.04 ERA was the lowest by a Yankees pitcher through six career appearances (min. 30.0IP) since Bob Porterfield had a 1.94 ERA (46.1IP, 10ER) in his first six career games (two starts) in 1948...Was the fifth Yankees pitcher since 1914 to pitch at least 5.0IP while allowing 3R-or-fewer in each of his first six career games, joining Masahiro Tanaka (2014), Scott Kamieniecki (1991), Dave Righetti (1979-81) and Cliff Markle (1915-16)...was just the second Yankees pitcher since 1914 to pitch at least 5.0IP while allowing 3R-or-fewer in each of his first three career games, all starts, and not earn a single win (also Dave Righetti, 9/16-27/79)...Posted three consecutive starts with at least 6.0IP and 1R-or-fewer from 8/22-9/4, the first Yankees pitcher to pitch at least 6.0IP and allow 1R-or-fewer in three consecutive starts within his first six career games since Bob Porterfield from 8/17-25/48...had a 16.0-inning scoreless streak from 8/22-9/4...Led all Major League rookies (min. 25.0IP) with a 2.17 ERA (29.0IP, 7ER) in August...was tied for seventh with 29K...his .200 opponents' BA (21-for-105) was tied for the lowest among AL rookies and tied for second-lowest among all rookies...ranked ninth among all AL pitchers in ERA in August...His 56 strikeouts were the sixth-most by a Yankees pitcher through his first 11 career games since 1914 (Masahiro Tanaka-88, Orlando Hernandez-72, Al Leiter-69, Dave Righetti-64, Shane Greene-57)...caught Xander Bogaerts looking in the first inning of his debut on 8/5 vs. Boston for his first career strikeout... Recorded a quality start in 8-of-11 starts...had five straight QS from 8/11-9/4, just the 10th Yankees pitcher since 1914 with a five-start QS streak within his first six career games...allowed 2R-or-fewer in 8-of-11 starts...was the first Yankees pitcher in franchise history to allow 2R-or-fewer in eight starts within his first 10 career games...Per FanGraphs, his fastball averaged 95.3mph, fifth-fastest among MLB starters who threw at least 50.0IP...Went 3-2 with a 3.16 ERA (25.2IP, 9ER) in five home starts...allowed 1ER-or-fewer in 4-of-5 starts...was the first Yankees starter to allow 1ER-or-fewer in each of his first three starts at the current Yankee Stadium...three visiting pitchers have also done it: Carlos Carrasco, Felix Hernandez and Brian Matusz...Made his Major League debut at 21 years, 166 days old on 8/5 vs. Boston and took the loss in the Yankees' 2-1 defeat (5.0IP, 2H, 2R/1ER, 0BB, 7K, 1HR)...caught Xander Boegarts looking for his first career strikeout...was the youngest pitcher to make a start in the Majors in 2015 and the youngest Yankees pitcher to start a game since Phil Hughes was 21 years, 95 days old in his final start of 2007...became the first pitcher in AL history with 2H-or-fewer, no walks and at least 7K in his Major League debut...was the sixth MLB pitcher (third starter) to do it in the Modern Era (since 1900), joining five NL pitchers: Atlanta's Manny Banuelos (5.2IP, 2H, 0BB, 7K on 7/2/15 vs. Washington); Arizona's Max Scherzer (4.1IP, 0H, 0BB, 7K on 4/29/08 vs. Houston); Cincinnati's Johnny Cueto (7.0IP, 1H, 0BB, 10K on 4/3/08 vs. Arizona); Los Angeles-NL's Pete Richert (3.1IP, 0H, 0BB, 7K on 4/12/62 vs. Cincinnati); and the Milwaukee Braves' Don McMahon (4.0IP, 2H, 0BB, 7K on 6/30/57-G2 vs. Pittsburgh)...was the third pitcher in Yankees history to record at least 7K and no walks in his Major League debut, joining Masahiro Tanaka (7.0IP, 0BB, 8K on 4/4/14 at Toronto) and Rich Beck (7.0IP, 0BB, 8K on 9/14/65 at Washington-AL)...was the first Yankees starter since 1914 to take a loss while throwing at least 5.0IP and allowing two baserunners-or-fewer (via H/BB/HP)...was just the third Yankees pitcher over the last 51 seasons (since 1965) to make his Major League debut in a start vs. the Red Sox, joining LHP Randy Keisler on 9/10/00 at Boston and RHP Sam Militello on 8/9/92 vs. Boston...was one of 18 Yankees to make their Major League debuts in 2015 but the only one to do so as a starting pitcher...Debuted in the same series as Red Sox LHP Henry Owens (8/4/15), as the two became just the second pair of Yankees and Red Sox pitchers since 1914 to make their MLB debuts as starting pitchers in the same series, joining Red Sox RHP Jim Bagby (4/18/38 vs. New York) and Yankees RHP Atley Donald (4/21/38 at Boston)...Recorded a career-high 9K on 8/16 at Toronto (third career start)...became just the 10th Yankees pitcher since 1914 to record at least 9K in one of his first three Major League games...at 21 years, 177 days old, was the second-youngest Yankees pitcher since 1914 to record 9K-or-more in a game, also Ray Keating (20 years, 302 days), who had 9K on 5/19/1914 vs. St. Louis-AL...in that span, only four Yankees pitchers had games with at least 9K prior to turning 22: Severino, Al Leiter (21 years, 337 days on 9/25/87 at Baltimore-10K), Al Downing (2x: 21 years, 352 days on 6/15/63 vs. Detroit-9K; 21 years, 347 days on 6/10/63 at Washington-AL-9K) and Keating...Earned his first Major League win on 8/22 vs. Cleveland (6.0IP, 3H, 1ER, 1HR, 4BB, 6K, 1HR)...Recorded his first career scoreless start in 8/29 win at Atlanta (6.0IP, 4H, 0R, 3BB, 5K)...at 21 years, 190 days, was just the second Yankees pitcher since 1970 to throw at least 6.0 shutout innings in a game before turning 22 years old (Phil Hughes, 6.1IP, 0H, 0R on 5/1/07 at Texas-20 years, 311 days)...In his final regular season start, threw a career-high 7.0IP but took a no-decision on 10/3-G2 at Baltimore (5H, 3ER, 0BB, 6K, 2HR)...at 21 years, 225 days, was the youngest Yankees pitcher with a start of at least 7.0IP and no walks since Stan Bahnsen on 9/22/66 vs. Chicago-AL (7.0IP, 4H, 2ER, 0BB, 6K)...Went 9-2 with a 2.45 ERA (99.1IP, 72H, 35R/27ER, 27BB, 98K) in 19 starts between Double-A Trenton and Triple-A Scranton/Wilkes-Barre...opposing batters hit just .201 (72-for-359)...allowed just 2HR while facing 396 batters...did not allow a HR in his final 71.1IP... was 7-0 with a 1.91 ERA (61.1IP, 13ER) in 11 starts with Scranton/WB following a 5/30 promotion from Trenton...during his Triple-A stint (5/31-8/5), led qualifying Triple-A pitchers in winning pct., tied for the lead in wins and ranked fourth in ERA (min. 50.0IP)...went 2-2 with a 3.32 ERA (38.0IP, 14ER) in eight starts with Trenton...after the season, was named to Baseball America's 2015 Triple-A Post-Season All-Star Team...In Baseball America's 2015 "Best Tools" survey, was tabbed with the "Best Fastball" in both the Triple-A International League and Double-A Eastern League and the "Best Breaking Pitch" in the International League, as voted on by league managers and coaches...was named an MiLB.com Organization All-Star... Attended spring training as a non-roster invitee, posting a 6.75 ERA (2.2IP, 6H, 3R/2ER, 1BB, 5K) in two appearances. Combined with Single-A Charleston, Single-A Tampa and Double-A Trenton to go 6-5 with a 2.46 ERA (113.1IP, 31ER, 27BB, 127K) in 24 starts...opponents batted .220 (93-for-423, 3HR); RH .236 (59-for-250); LH .197 (34-for-173)...led all Yankees minor leaguers in strikeouts...following the season, was ranked by Baseball America as the Yankees' top prospect...was tabbed an Organization All-Star by MiLB.com...competed for the World Team in the SiriusXM All-Star Futures Game at Minnesota...Began the season with Charleston, going 3-2 with a 2.79 ERA (67.2IP, 21ER) in 14 starts...was transferred to Tampa on 6/20 and went 1-1 with a 1.31 ERA (20.2IP, 3ER) in four starts...was named FSL "Pitcher of the Week" on 6/30 after throwing 6.0 hitless innings on 6/25 at Clearwater (1BB, 6K)...allowed 0ER in his final three starts with Tampa (16.0IP, 6H)...was promoted to Trenton on 7/16 and made six starts with the Thunder, going 2-2 with a 2.52 ERA (25.0IP, 7ER). Combined at GCL Yankees 1 and Single-A Charleston to go 4-2 with a 2.45 ERA (44.0IP, 12ER, 10BB, 53K) in 10 appearances (eight starts)...produced a 1.37 ERA (26.1IP, 4ER) and .172 opponents' BA (16-for-93) in six games (four starts) in the GCL...was transferred on 7/29 to Charleston and went 1-1 with a 4.08 ERA (17.2IP, 8ER) in four starts...Following the season, was tabbed by Baseball America as the No. 9 prospect in the Yankees organization. Made his professional debut with DSL Yankees 1, going 4-2 with 1.68 ERA (64.1IP, 12ER, 45K) in 14 starts. How does Severino's setback affect Yanks' staff? March 28, 2019 New York Yankees placed RHP Luis Severino on the 10-day injured list retroactive to March 25, 2019. Right shoulder rotator cuff inflammation and Grade 2 lat strain. September 2, 2016 New York Yankees recalled RHP Luis Severino from Scranton/Wilkes-Barre RailRiders. August 15, 2016 New York Yankees optioned RHP Luis Severino to Scranton/Wilkes-Barre RailRiders. August 12, 2016 New York Yankees recalled Luis Severino from Scranton/Wilkes-Barre RailRiders. August 10, 2016 New York Yankees optioned RHP Luis Severino to Scranton/Wilkes-Barre RailRiders. July 25, 2016 New York Yankees recalled Luis Severino from Scranton/Wilkes-Barre RailRiders. May 30, 2016 New York Yankees optioned RHP Luis Severino to Scranton/Wilkes-Barre RailRiders. May 30, 2016 New York Yankees activated RHP Luis Severino from the 15-day disabled list. May 29, 2016 New York Yankees sent RHP Luis Severino on a rehab assignment to Tampa Yankees. May 14, 2016 Luis Severino roster status changed by New York Yankees. August 5, 2015 New York Yankees selected the contract of RHP Luis Severino from Scranton/Wilkes-Barre RailRiders. July 24, 2015 Scranton/Wilkes-Barre RailRiders activated RHP Luis Severino from the 7-day disabled list. July 17, 2015 Scranton/Wilkes-Barre RailRiders placed RHP Luis Severino on the 7-day disabled list. May 30, 2015 RHP Luis Severino assigned to Scranton/Wilkes-Barre RailRiders from Trenton Thunder. May 21, 2015 Trenton Thunder activated RHP Luis Severino from the 7-day disabled list. May 11, 2015 Trenton Thunder placed RHP Luis Severino on the 7-day disabled list. Right middle finger injury. February 5, 2015 New York Yankees invited non-roster RHP Luis Severino to spring training. August 19, 2014 Trenton Thunder activated RHP Luis Severino from the 7-day disabled list. July 16, 2014 RHP Luis Severino assigned to Trenton Thunder from Tampa Yankees. July 12, 2014 Tampa Yankees placed RHP Luis Severino on the temporarily inactive list. June 20, 2014 RHP Luis Severino assigned to Tampa Yankees from Charleston RiverDogs. 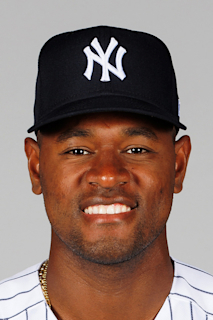 March 31, 2014 RHP Luis Severino assigned to Charleston RiverDogs from GCL Yankees1. August 26, 2013 RHP Luis Severino assigned to GCL Yankees1 from Charleston RiverDogs. July 29, 2013 Luis Severino assigned to Charleston RiverDogs from GCL Yankees1. June 1, 2013 Luis Severino assigned to GCL Yankees1 from DSL Yankees1. June 1, 2012 Luis Severino assigned to DSL Yankees1. May 31, 2012 New York Yankees signed free agent RHP Luis Severino to a minor league contract.